This has been a tough winter with extreme cold temperatures and snow falling statewide, but that has not stopped 10 dedicated MGS members from hiding a CAM cache. What is CAM? 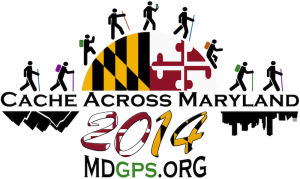 CAM (Cache Across Maryland) is the Maryland Geocaching Society’s premier event where you must find 10 specific caches that are placed around the state to get the coordinates to CAM Picnic. 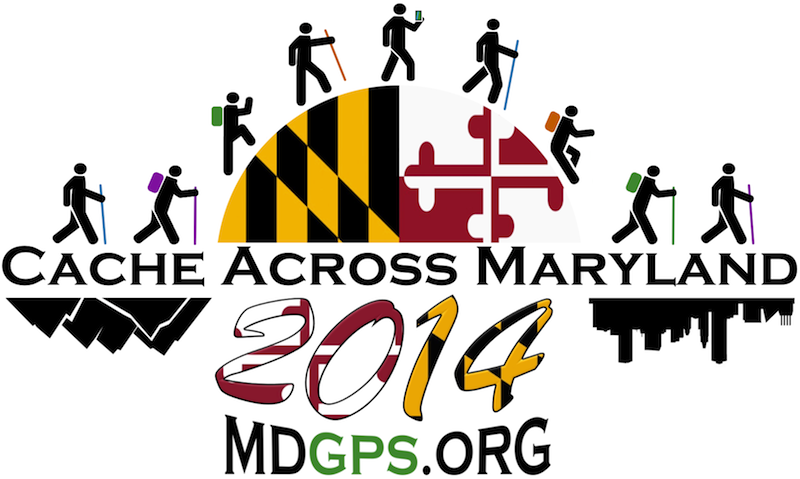 Everything starts on March 22nd at 6 a.m. when we will post the 10 caches to the MGS forums. Cachers have until the day of the picnic, May 3rd, to find all 10 CAM caches and decode the coordinates to the picnic location. If you are going to drive over 1,000 miles in search of some smileys, why not do it in style with your very own CAM wardrobe. My family will starting out west, after we get everything loaded to the MGS site. So I hope to see you on the trails. This entry was posted in events, MGS Events. Bookmark the permalink.